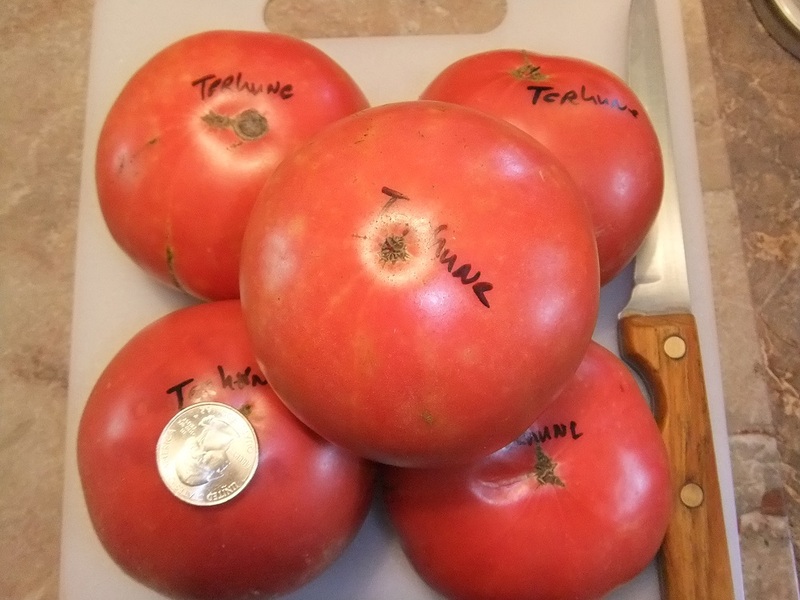 Terhune – Lots of huge pink beefsteaks. Smooth skin and slightly oblate and elongated, this one will please the tastebuds. It has great visual appeal as well. 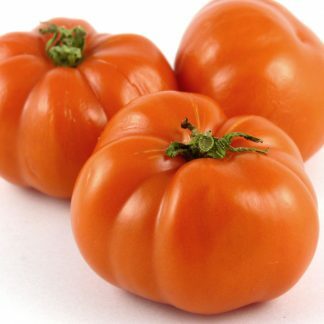 Its origin was a realtor selling a home previously occupied by a 90 plus year old woman who had raised her tomatoes and given away plants for years. The realtor acquired some end of season fruit and saved seeds in 2007. 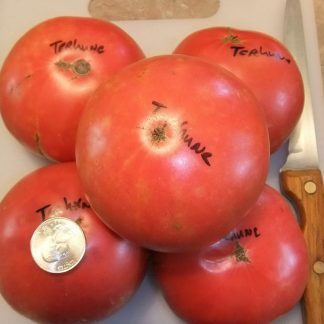 Some think it may be a pink Brandywine, but that would be tested in a DNA lab. It is very productive and also very delicious. 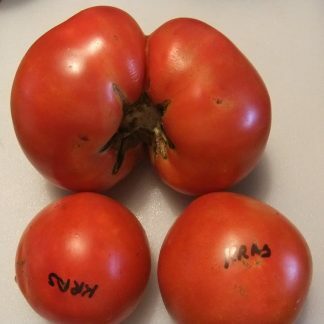 Pink, Indet, large oblate beefsteaks on potato leaf plants. Some folks have pruned to a single fruit and have harvested fruits weighing in the 5.5 pound category.